This article on the NavFile site gives an overview of the Big Thunder Mountain Railroad music or soundtrack that can be heard in the line or queue for the ride. This article covers the version of the ride that is found in Frontierland at the Magic Kingdom, Walt Disney World Resort, Bay Lake, Florida. The other Big Thunder Mountain Railroad attractions at the other theme parks are not fully covered in this article. Big Thunder Mountain Railroad has a music soundtrack that plays in the background while you are waiting in line or in the queue, as some may say. 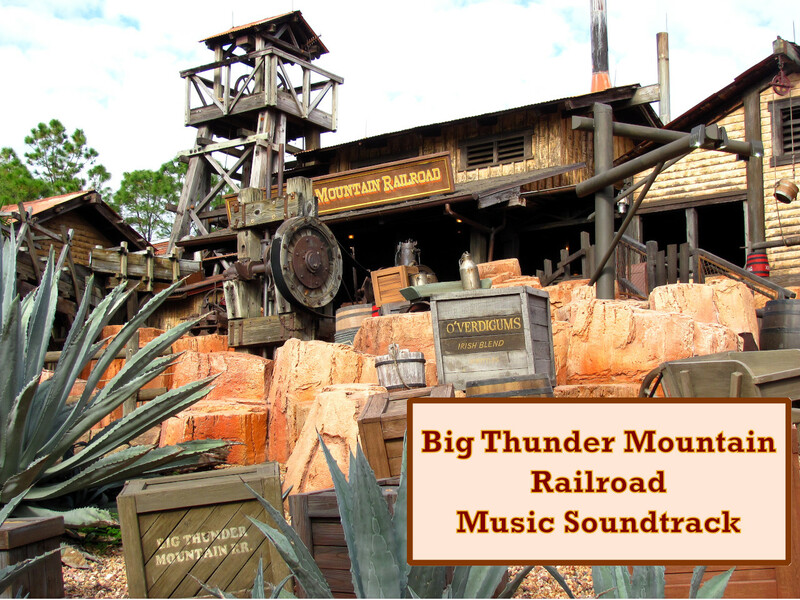 Big Thunder Mountain Railroad music is a country or “western” type of song with no lyrics. A harmonica is played in the song along with possibly a banjo and other instruments. The music can be heard while in line, all the way up to the boarding area. You can listen to the songs in some of the videos that are featured below. Above Big Thunder Mountain Railroad music soundtrack cover photo by Jeremy Thompson on Flickr. Photo has been modified by NavFile and is released under a Creative Commons Attribution 2.0 Generic License. The first video contains the main Big Thunder Mountain Railroad soundtrack that can be heard in the line. Following that video is a collection of the entire soundtrack for the ride. It contains Big Thunder Mountain Railroad queue music and songs that can be heard at various locations around the ride. If you are looking for the entire collection of music for the roller coaster the second video is the best option to listen to all of these songs at once. The third video and fourth video contains two songs that are part of the ride’s music soundtrack. To learn more about the roller coaster, visit the other pages about the attraction that are here on the site.